December Month is about to arrive in a day. December is synonymous with Christmas and Christmas is very much synonymous with Santa. The other exciting part about December is the long holidays you get from Christmas to New Year. After all, it is a well-deserved break after a year of hard work. Why not utilize your holiday season to make some extra cash? With lucrative promotions like Pattaya Leaderboard and Pattaya party special tournament running already, this month is brimming with offers. In what comes as a cherry on top of the cake, there are few other promotions that we are planning to launch before the year ends to sign off on a high note. We have placed ourselves to be the only company in the Rummy industry to offer a varied taste of fun, thrill, and excitement to our customers. These promotions have not only made heads turn from the Indian Rummy community but also have put our company in the big league. This Christmas we are bringing in yet another fabulous promotion for Rummy enthusiasts. 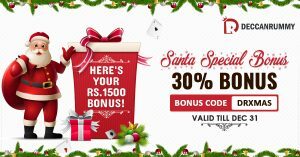 Santa Special Bonus promotion gives you an awesome opportunity to get 30% bonus for deposits up to Rs 5000. The offer begins on Dec 1 and ends on Dec 31. This promotion would indicate we always strive to deliver the best for our customers during the festival seasons and make them even better. That is definitely a big festival bonus, which can go a long way in making this Christmas very merry and unforgettable indeed! 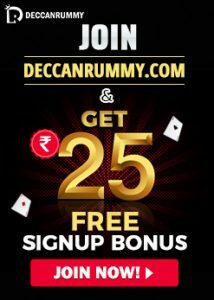 DeccanRummy.com is one of the safest online rummy sites offering some of the best player rewards for the card game enthusiasts in India. From enticing bonus offers to juicy rummy formats to rousing tournaments with big prize pools, there is always instant entertainment available. 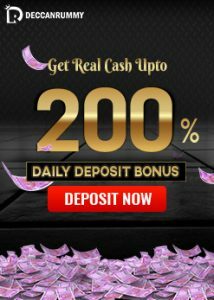 Apart from the regular freeroll and cash tournaments, DeccanRummy.com hosts plenty of exiting contests like festival special freeroll tournaments, leaderboard contests, and surprise player rewards. Use our bonus code DRXMAS while making a deposit so as to avail this offer. Players can club this offer with our Instant Deposit Bonus up to 200% if the deposit happens to be the player’s first deposit of the day. There are many other promotions to be enjoyed, and one should head to the Promotions Section to view them all. Deposit and avail the bonus offer now experience the unforgettable joy of Christmas with a bonus! So don’t delay any further, register with Deccan Rummy now. 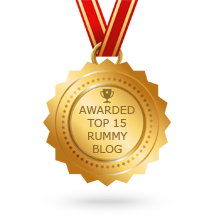 It’s one of the safest places to enjoy the 13 card rummy online; plus you could benefit from the generous rewards given by us.